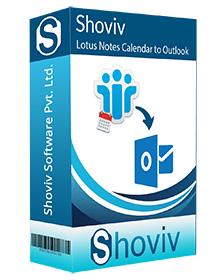 Shoviv for Lotus Notes calendar to Outlook is result-oriented software which is programmed to convert Calendar entries and events from NSF to Outlook PST file format. The software is capable to convert multiple calendar entries altogether from Notes NSF mailbox database to MS Outlook PST. 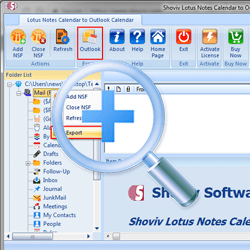 Note: Lotus Notes Calendar to Outlook trial version allows to experience the entire conversion procedure without making any initial investment. It helps to convert first 25 Calendar entries from NSF database mailbox to selected Outlook PST format. 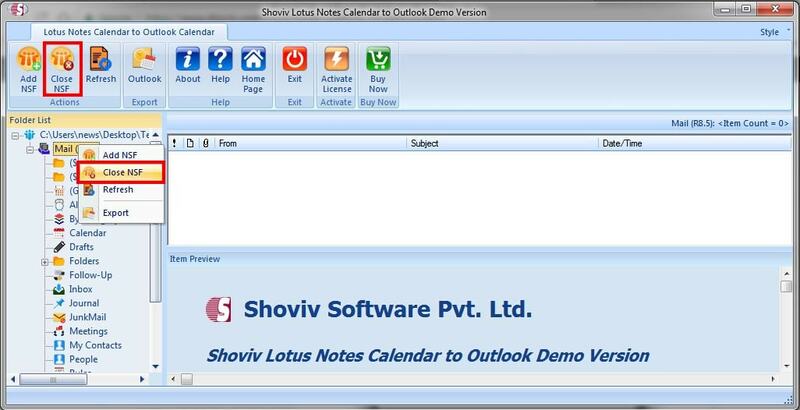 *Free Download allows to convert & save 25 items/folder from Lotus Notes Calendar to Outlook. User can add Multiple NSF Files and convert NSF Calendar to Outlook calendar. Please note that software will shows only calendar items in selected folders during trial version. One can check the calendar item property’s in item preview section. User can add multiple domino server mailboxes (NSF Files) and export Domino Mailboxes calendar items into Outlook PST calendar. 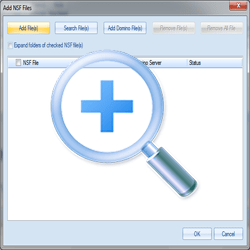 It facilitates to search NSF File option to Search NSF Files from Hard drive. 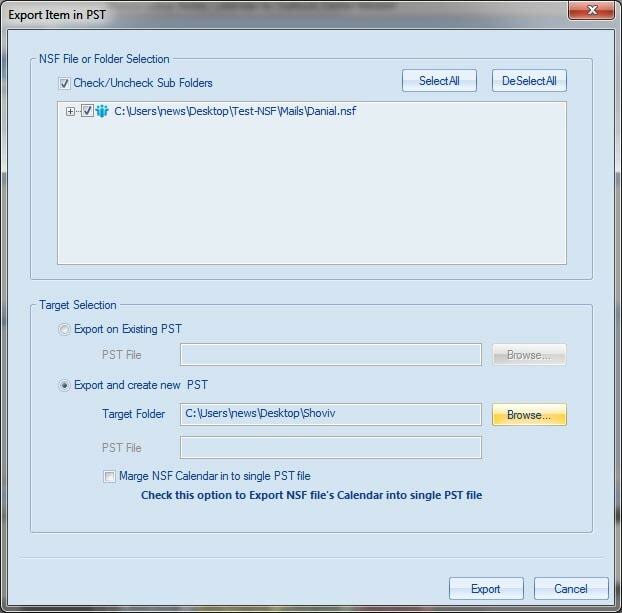 Lotus Notes Calendar to Outlook converter tool effortlessly migrate Calendar entries from NSF files to PST file. No data is compromised while converting calendars from multiple NSF files to PST. 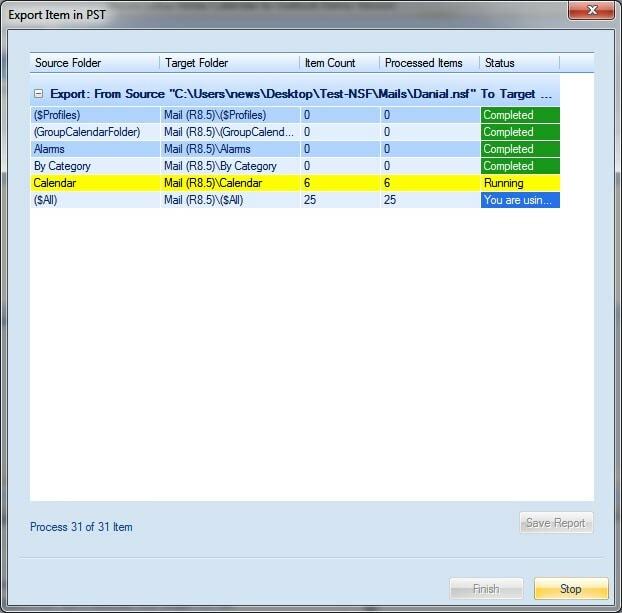 The tool effortlessly migrate Calendar entries from multiple NSF files to single PST. No data is compromised while converting calendars from multiple NSF files to single PST. It has two options to merge NSF calendar: One can either Export on Existing PST file or can Marge NSF file in Single PST file. It helps to scrutinize all the attributes of Calendar events and entries in order to ensure that no single details are missing. The integrity and properties of all corresponding fields are well maintained during the conversion process from Notes NSF to MS Outlook PST file. 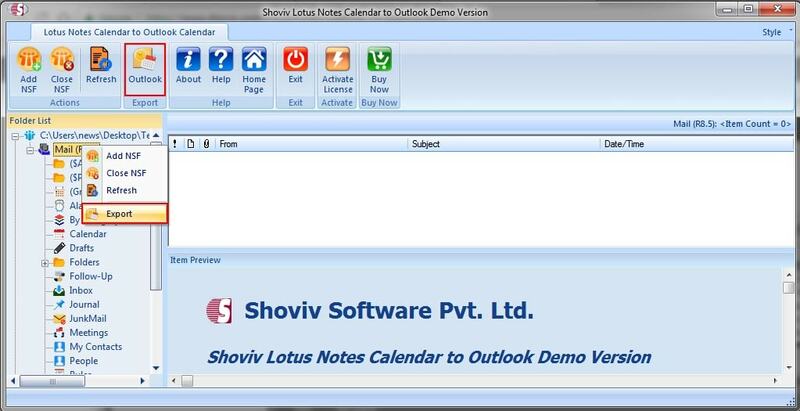 Lotus Notes Calendar to Outlook software is compatible with all MS Outlook, IBM Notes and Domino Server versions. It supports Notes 9.0/ 8.5/ 8.0/ 7/6 and previous versions. The tool works with MS Outlook 2016/ 2013/ 2010/ 2007 and lower editions. 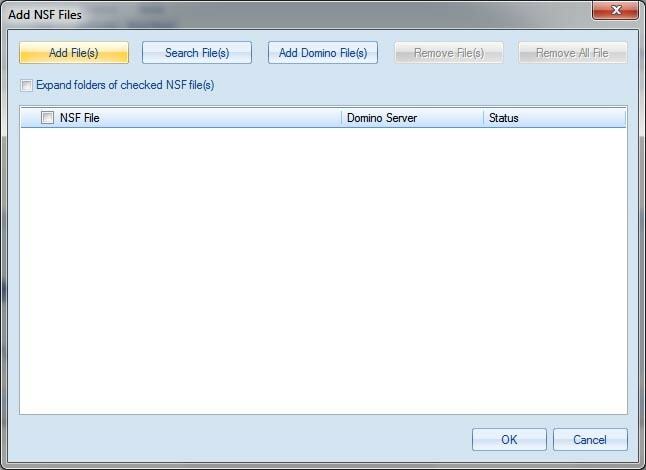 Search Domino Server feature helps to automatically locate the active Domino Servers available on the network. You will need to provide a valid user ID and password credentials in order to access the Domino Server and initiate the NSF calendar conversion process. Make sure that the user id and password details you provided are correct. Preview option helps to preview the all contents stored within the NSF file. This helps testing the accuracy of the calendar entries existing within the selected Notes NSF file before converting them to Outlook PST or XLS files formats. It also help ensuring that no single entry is inaccessible. Which version of IBM Notes supports converter software? 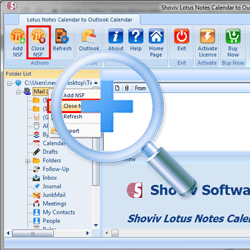 The Lotus Notes Calendar to Outlook converter software is compatible to work with all the versions of IBM Notes including Notes 9.0/8.5/ 8.0/ 7/ 6.5/ 6 and previous editions too. Is it possible to convert calendar entries from NSF files stored on Network Drive? Yes, it is possible to convert calendar entries from NSF files stored on the network drive. But assure yourself that those files should be accessible. Is it required to have active Domino Server environment to perform conversion? No, you can perform conversion of Calendars from NSF to PST without active Domino Server environment. Instead, make sure that connection to Domino Server is disconnected before initiating the migration procedure. Nevertheless, you require to have MS Outlook and Notes installed and configured with a valid POP3 or dummy profile. How many files can I convert in a single instance? Its depend upon you, how much you require and need to convert. 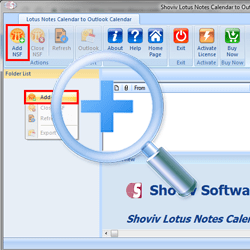 Because Lotus Notes Calendar to Outlook converter has no limitation of converting bulk calendar entries from Notes NSF files to Outlook PST or Excel file format. What should be the size of the Notes NSF file? You can keep your NSF file at any size. 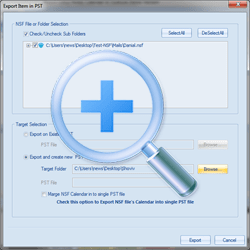 This tool supports all size of NSF file even large NSF files and also converts Calendar entries existing within it to PST or XLS file format. Does the software convert password protected NSF files to Outlook PST? No, the software does not support conversion of calendar entries from password protected NSF file. Firstly, you should open the file using its user.id and password credentials afterward you will be able in PST from the conversion of NSF calendar entries. I find it difficult to operate the software, whom should I contact for assistance? Our 24*7 technical team is always ready to solve your queries. 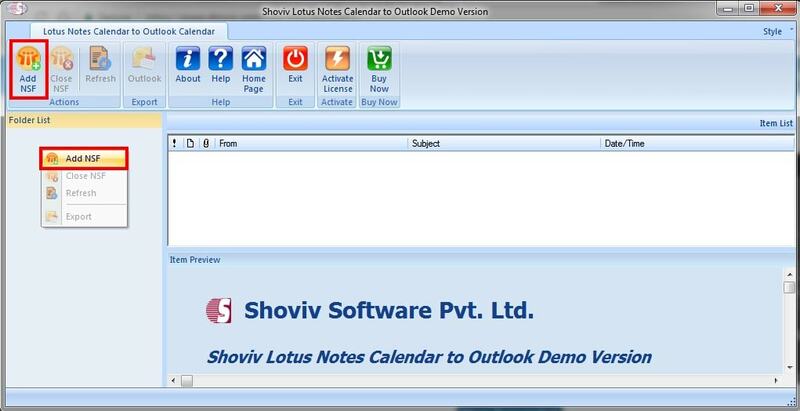 Though the operational procedure of Lotus Notes Calendar to Outlook converter software is very simple and straightforward and it does not require any technical expertise to initiate the conversion process. Does this software runs on Windows 10? Of course, if you have Window 10 this is software is for you. In fact, if you have 8, 7 and all lower versions, this will work very smoothly.